More and more of us realise there is no God. And yet religion still has a hold over us. Ideas of saints and sinners, heaven and hell still shape our thinking. In this series, the evolutionary biologist Richard Dawkins faces up to the big questions of life in a world moving on and leaving religion behind. He explores what reason and science might offer in the place of religion to inspire and guide our lives. How can an atheist find meaning in life? How can we face death without the comfort of the afterlife? How should we think about right and wrong? In a journey that takes him through visually stunning locations, from the tornado devastation of Joplin Missouri to the funeral pyres of Varanasi in India, from the red light districts of Paris and London to the Buddhist monasteries of the Himalayas, Richard Dawkins builds a powerful argument for facing up to the scientific truth about life and death, however bracing that may be. The series explores the latest science. Richard Dawkins investigates deep emotions like disgust and empathy, the science of ageing and why humans find it so hard to understand chance. The series is also a television first because Richard Dawkins has his genome sequenced and analysed – the first named Briton to have this done and only the tenth worldwide. It’s often a deeply personal journey, featuring sequences with Richard Dawkins’ mother, his dog, his 1960s stamping ground of Berkeley, California and the Dawkins family vault in Chipping Norton. 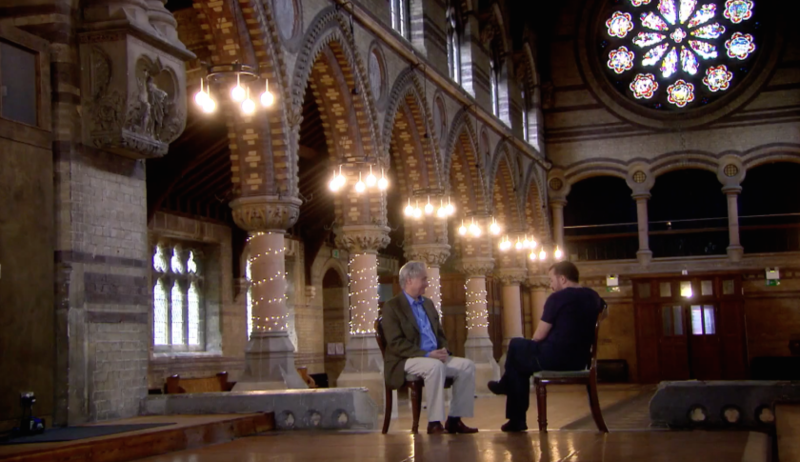 Richard Dawkins develops his ideas through interviews with, amongst others, the geneticist who co-discovered the structure of DNA James Watson, the controversial comedian Ricky Gervais, a 105-year-old New York stock broker who still goes to work every day and scientists including Steven Pinker and Leonard Mlodinow. Richard Dawkins concludes: “We are made by the laws of physics working through four billion years of evolution. We have a brief window of life through which to see the universe and understand how we came to be in it. That truth may not be comforting but it has a majesty of its own”.